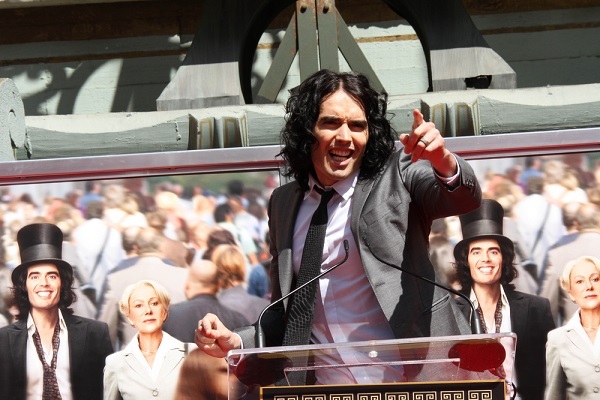 Many of us were first introduced to Russell Brand as the off-color yet strangely lovable rock star Aldous Snow, in the 2008 comedy Forgetting Sarah Marshall. This catapulted him to widespread fame, since which he has reprised his role in the spin-off Get Him to the Greek, voiced roles in family comedies such as Hop and Despicable Me, and put his own spin on a classic Dudley Moore character in the remake of Arthur. He also finds time to write, present podcasts and lend his voice to a cause he holds near and dear—addiction recovery. 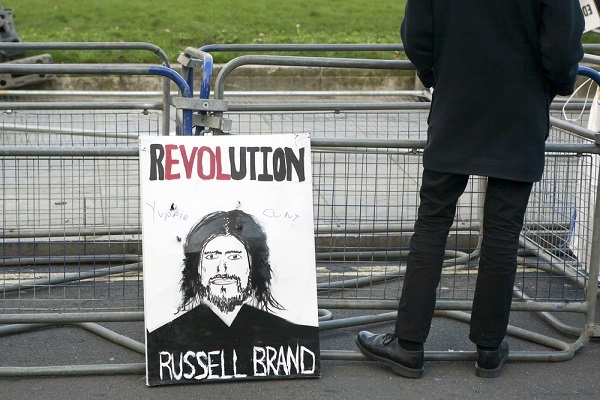 While Brand speaks openly about his addiction and even appears in the 2012 BBC documentary Russell Brand: From Addiction to Recovery, some of his fans may not know his story. We would like to shed a bit of light on his struggles with addiction, as well as his road to recovery. We also wish to discuss his extensive work as an activist, including his plans for the future. 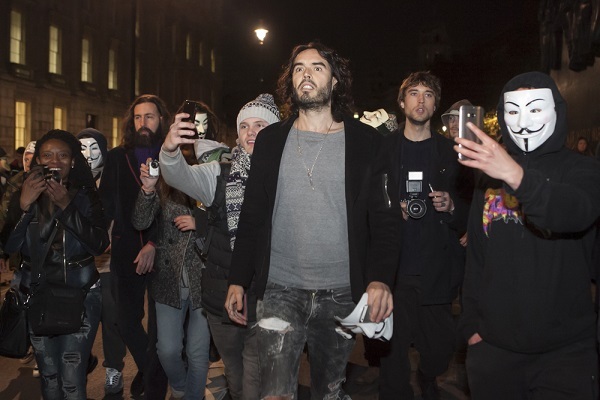 As the heroin epidemic continues to surge, Russell Brand continues to act as a dedicated ally to those in recovery. Those who wish to aid the fight against drug addiction may benefit from his example. 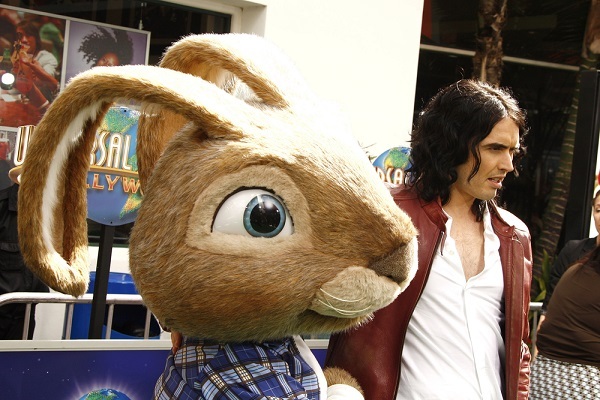 Russell Brand, according to an interview he gave Oprah in 2014, became an addict before he used drugs. His addictive behaviors began with food, obsessively consuming chocolate. In his book Revolution, he also mentions struggling with bulimia, claiming that purging himself actually helped him to fill an internal void. Purging since the age of 11 and diagnosed with ADHD and bipolar personality disorder, Brand most certainly grew up without a map. Heroin didn’t help. He tried other substances, some of which—crack, for instance—he did not particularly like. Nonetheless, he carried on. This ostensibly nonsensical behavior, engaging in the use of substances one finds unfavorable, will strike a familiar tone with most individuals who suffer from drug addiction of a similar nature. At some point, happiness ceases to be the motivating factor. It becomes all about the escape. Many addicts and alcoholics reach this point. Some luckily survive it. Others run out of luck. For Russell Brand, the realization of his life’s direction helped him reach the First Step in his recovery. This unity did not come at the expense of his individuality. While he once feared that sobriety might take away his sense of identity, he continues to make a name for himself as one of the most unique personalities in the entertainment world. This contributes greatly to his success. The identity he continues to maintain in recovery factors greatly into his public appeal. But rather than simply use it for money and fame, he uses it to give back to the recovery community. Brand goes on to explain that Hoffman died alone, like many addicts. Just as Brand often did drugs that he found unenjoyable, many who overdose do not appear to use for the sake of true joy. They do not surround themselves with friends or happy circumstances. But this bleak circumstance, according to Brand, is not the only reason that Hoffman’s death was inevitable. He primarily blames our current drug laws and the stigma that drives them. He voices the need for more understanding legislation, and decries a nation that hesitates to put such laws into immediate action. We in recovery understand this feeling. It never gets easier to watch people we know fall off the face of the earth because they cannot stay sober. And on the rare occasion that it does get easier, we experience the strange sensation of feeling bad for not feeling bad enough. But instead of sitting around wishing that he felt worse, Russell Brand decides to channel his sadness into action. Motivated by the loss of one friend, he works to save others by spreading the message of recovery. Brand does not stop at writing and making YouTube videos. In 2012, he took two particularly active roles in his support of the recovery community. His BBC documentary includes part of his testimony to a parliamentary committee, in which he discusses his views on drug laws. And that same year, his spiritual growth was recognized by none other than the Dalai Lama when Brand was asked to host a Buddhist youth event. Russell Brand writes prolifically about addiction, speaks to lawmakers about the need to update drug laws, and has received recognition from one of the foremost spiritual leaders in the world. His achievements in the field of activism form a most respectable curriculum vitae. But he doesn’t rest on his laurels. He continues to do what he can, that his words and his deeds might help to save the lives of many who suffer from this disease. This is where Brand stood when he published Revolution in 2014. Three years later, he intends to put these words into truer action than ever. For while he continues to share his own story, he now intends to use that story to provide others with an actual recovery plan. His new book, Twelve: Freedom from Your Addictions, describes the tools and methods he learned while overcoming his own struggles. Brand believes that others may use these tools to work through addictions of all sorts, from drugs and alcohol to caffeine and online shopping. At the time of writing, Twelve is scheduled for release on October 3, 2017. In the meantime, you can check out Revolution and the personal memoir My Booky Wook for more stories on Russell Brand’s journeys through addiction and recovery.